Dow and S&P 500 move slightly deeper into record territory on 30th anniversary of the 1987 crash. Travelers Companies Inc. shares kept the Dow Jones Industrial Average afloat as insurance stocks enjoyed a rebound. That Netflix documentary on the orcas did a number on them. Another rise in Apple Inc. shares pulled the Dow into the green. How Much Do You Know About SeaWorld? 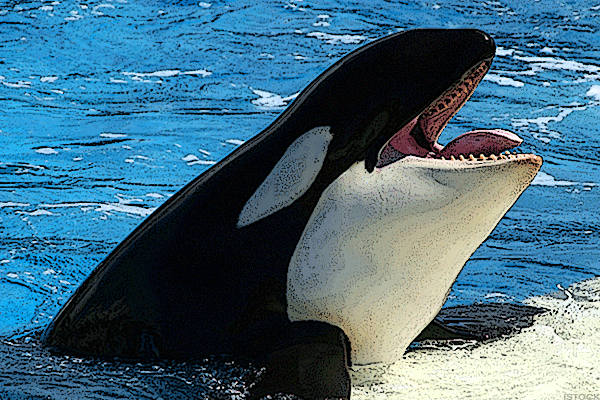 Hill Path Capital raised its stake in SeaWorld Entertainment SEAS. Wall Street came off of the day's highs late in the session on worries over how President Trump will handle the Syrian civil war and relations with China. Stocks churn around the flatline to end the week as a selloff in health care counters gains seen elsewhere. Citi is bearish on SeaWorld's expected EBITDA rebound. The theatrical release of 'Betting on Zero' is only secondary. SeaWorld sees a drop in visitors and revenue. California district Judge Jeffrey White ruled that a group of consumers can pursue their claims against SeaWorld. Tilikum's death comes days after SeaWorld San Diego put on its final orca show. SeaWorld will end its San Diego orca show on Sunday as it looks to close the chapter on its much-criticized killer whale shows. Stocks traded at new records as the energy sector moved higher and the Fed met to discuss interest rates. Stocks made away with slight gains as Wall Street shrugged off crude oil's first loss in five sessions. SeaWorld announced that it will cut 320 jobs amid continued restructuring efforts. Shares of SeaWorld Entertainment were higher Tuesday despite mixed third quarter results. U.S. stocks climbed and the Dow Jones Industrial Average jumped more than 100 points thanks to gains in the tech and consumer sectors. SeaWorld is coming off a difficult summer but may be on the verge of a turnaround.